This Matching Game was a huge success! First, because this was my first introduction of “coins” to Alina (4) and she actually, absolutely, suprisingly LOVED IT! And second, because it was so easy to set up yet it captured her attention for quite a while and I was so happy she was having fun learning something new! I’m not really sure at what age you’re suppose to start learning money and coin value, but I wanted this new “subject” to be exciting, fun and most importantly not overwhelming. As with everything new that I introduce into my daughters’ world of education I start out slow, easy and simple. And this Coin Recognition Match Game is perfect, because I primarily focused on her familiaring with the coins (their appearance, size, color). This way she got to analyze, recognize and hopefully memorize the coins! 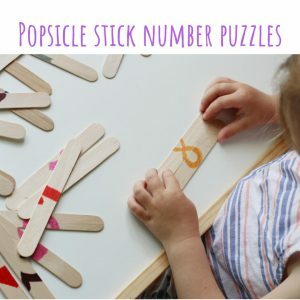 You might also like these preschool number activities! 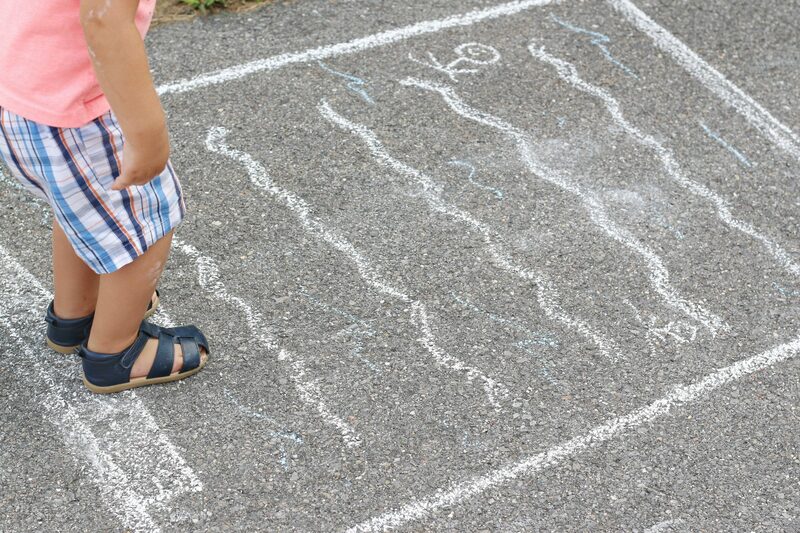 Start by gathering coins (pennies, nickels, dimes and quarters). 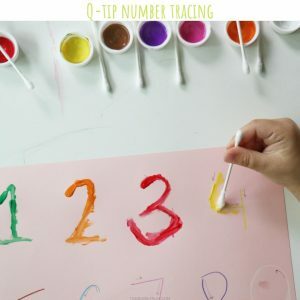 Trace them onto a white cardstock using different colored permanent markers and write in their value right in the middle. Rules are simple! 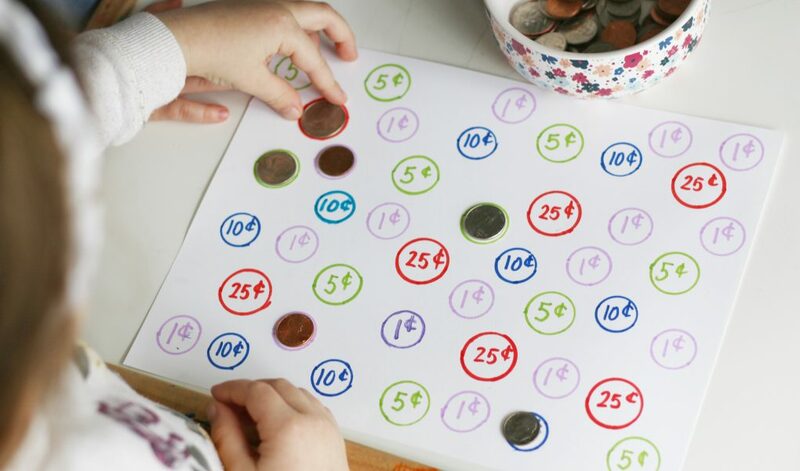 The child has to match up the coins with their correct spot. As they’re matching up explain to them the coin values, talking over the color of the coin, weight, size, appearance, etc. 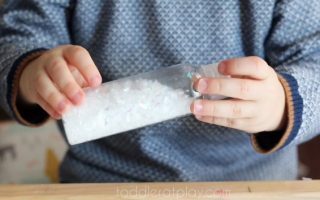 Watch this fun Toddler At Play quick tutorial! 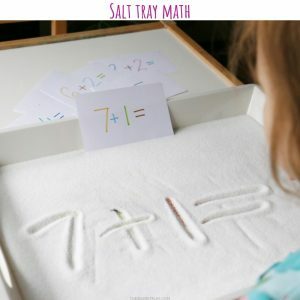 Grab some coins and start learning with this fun matching game!